Fredriksen Fire services every type of portable fire extinguisher. We perform on-site recharges and refills in the Chicago, IL and Chicagoland area. 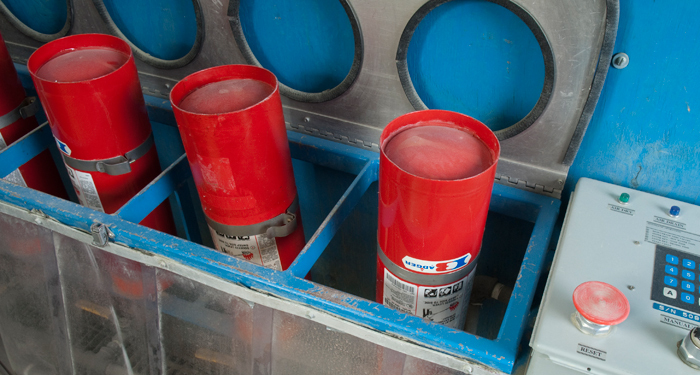 Not sure what service your fire extinguisher requires? Check our handy maintenance chart to tell what service your units will need based on the year of service. Under certain circumstances, we may be unable to certify your extinguisher. Check what the authorities are saying about conditions under which extinguishers are considered obsolete. A reference of MSDS sheets, listed at their respective manufacturers websites. 555 Pond Drive, Wood Dale, IL 60191 630.595.9500 ©2012 Fredriksen Fire Equipment Co.